We started the day off with some educational centres, followed by calendar. During calendar time we reviewed our three duaas, mashallah the class has memorized the first two and is already very familiar with the third. Our character theme for the month of November is CLEANLINESS. The class was part of a school-wide assembly where the grade 3 students performed skits and song to help us understand the meaning of cleanliness. In the class we are talking about keeping ourselves clean, keeping our classroom and school clean, and also keeping our hearts pure. We went to the library today and the students that had returned their books were able to sign out a new book. Please make sure you return the library books by Friday every week so that we give teacher Nancy a chance to check them in to her program by Monday. On Mondays and Thursday we visit the city park, the children had a great time climbing trees and playing on the structure. For mathematics today we took the number 4-four, the students worked in their math books. The last period for today was French with monsieur Said. 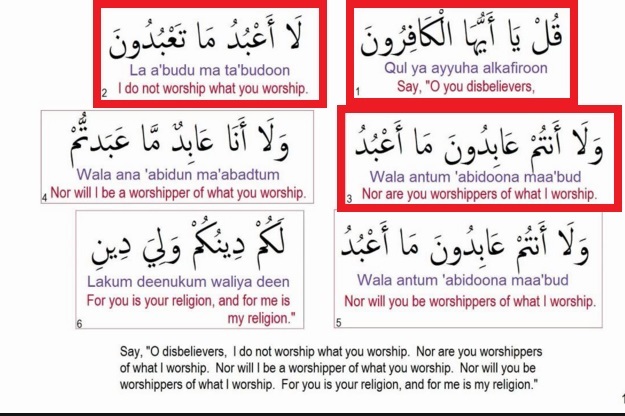 QURAAN HOMEWORK: Review ayas 1-3 of surat al-kafiroon.